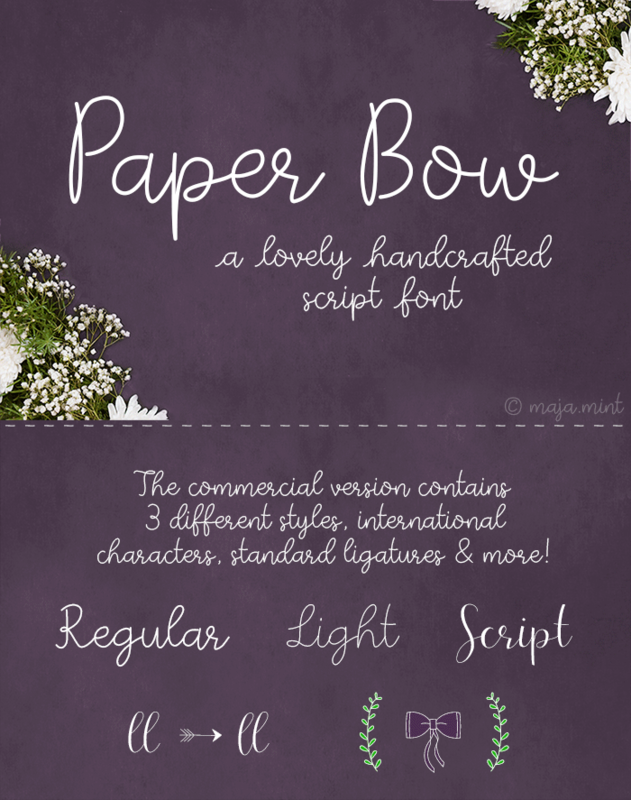 This is the demo version of Paper Bow, a lovely handcrafted script font. It is free for PERSONAL USE ONLY! TIP: Type ~ to add an upstroke. The commercial version contains 3 different styles, international characters, standard ligatures and much more.